Our President Khushi qualified for the European Public Speaking Championship's final a few years ago. 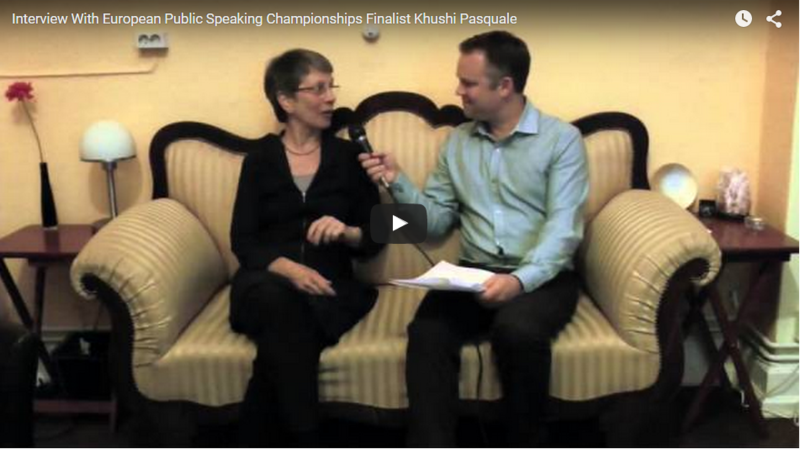 Watch her interview and find out what it is like to compete in a speech tournament and learn what makes for a great speech. Every member of Toastmasters receives a free copy of our monthly magazine (in print and/or digital format). 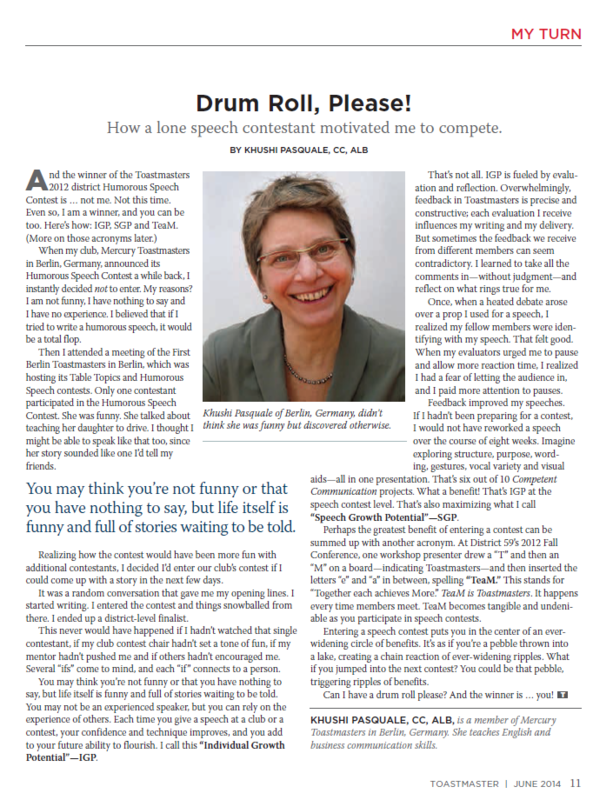 The magazine is filled with expert articles about speechwriting and leadership.